Clean Water. Strong Minnesota. Stop PolyMet. It’s time to move on to a better safer alternative for Minnesota. Please stand with us in defense of clean water. Join here, donate here, and if you have questions, contact us. Thank you. We're here at the USFS Listening Session in solidarity with the many powerful voices in the room saying NO to copper sulfide mining to the north of us in the BWCA watershed, including a former 25-year USFS employee who is discussing how amphibians are a "canary in the coal mine" for toxicity in the Superior National Forest. This type of mining is way too damaging for the BWCA, AND for Lake Superior. John Doberstein testifying on behalf of Duluth for Clean water at the MN Senate Judiciary and Public Safety Committee. We're saying NO to the cynical effort to remove the ability of downstream communities to request a contested case hearing on mining permit apps. Senator Erik Simonson, Liz Olson, Minnesota House of Representatives District 7B, and Jen Schultz for MN Representative, District 7A with DFCW volunteers after the listening session. 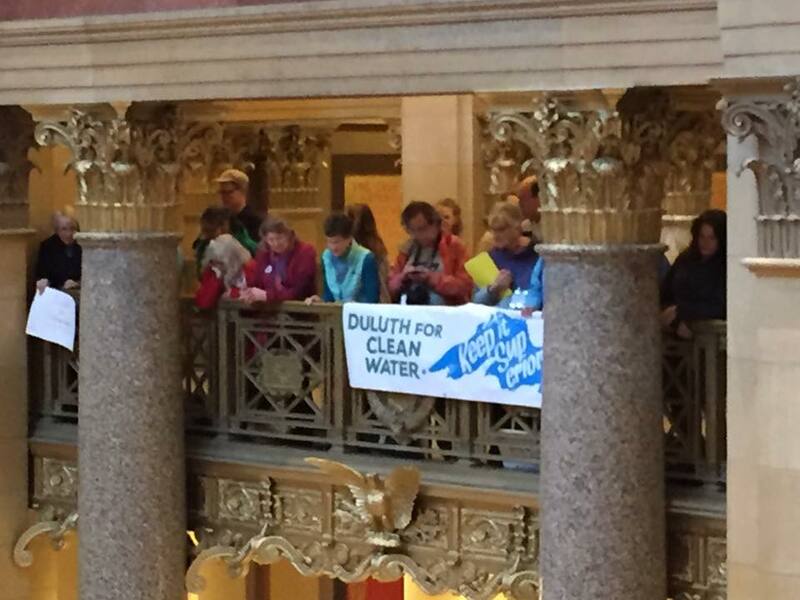 Duluth for Clean Water Citizens' Press Conference, August 23, announcing call for evidentiary hearing on PolyMet permit to mine application. John Doberstein spokesperson. Duluth Standing Rock Resolution passes 8-0! (1 abstention - Fosle). Great work everyone! Thanks Councilors Em Westerlund and Gary Braden Anderson for co-authoring! 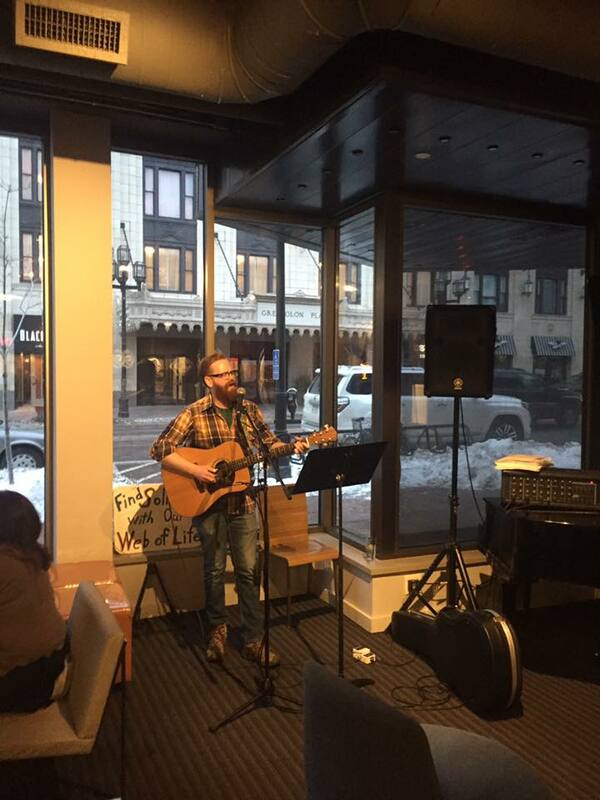 In the words of Babette Sandman - "That's how we roll in Duluth. We take stands. Water is life." 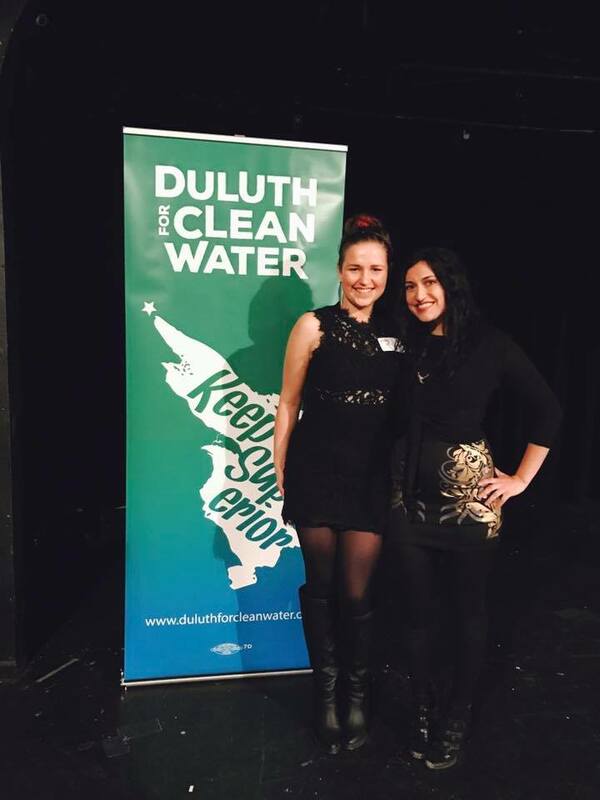 Duluth for Clean Water is an all-volunteer 501c4 organization seeking a healthy future for the St. Louis River and Lake Superior watershed. We oppose the Glencore/PolyMet copper sulfide mining proposal as too risky. We know that Minnesota can do better.